Hot off the press… from THE BIKER GUIDE – a Right To Ride Business Supporter – is the 3rd edition of THE BIKER GUIDE Booklet. Even better the booklet is FREE with just the p&p to pay! 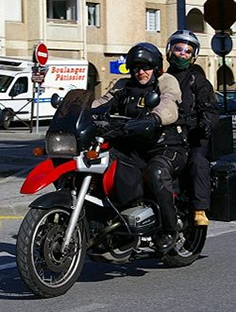 THE BIKER GUIDE say, “We have worked on this publication for many months of 2013, to prepare and finalise the design and layout, include new content and information. The main aim is to produce a high quality printed publication, organised into an easy to use format, great to take and keep on a Motorcycle. The booklet is Glossy – A5 in size and with 52 gorgeous pages! 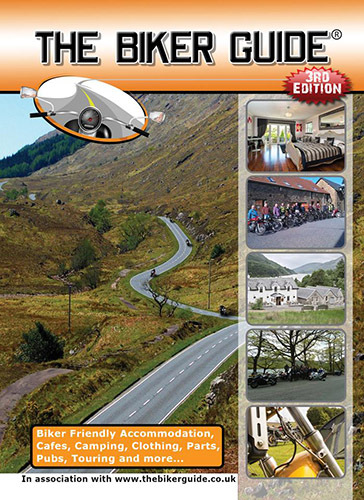 Organised into an easy to use format, with a selection of Biker Friendly Accommodation, Cafes, Campsites, Clothing, Meeting Places, Parts, Pubs, Touring and more… ideal as a reference tool when planning, touring or travelling and in its easy to use and carry format, ideal to take and keep on any Motorcycle. In fact, they have every faith that it will continue to be as popular as our website, especially when out on the road.